Third time invited to gare art festival, in the city center of Luxembourg capital. This time the challenge is to work with Aluminium, and I decided to stick on it a pcv sheets. The concept was inspired by the earthquake of L’Aquila, in Italy. 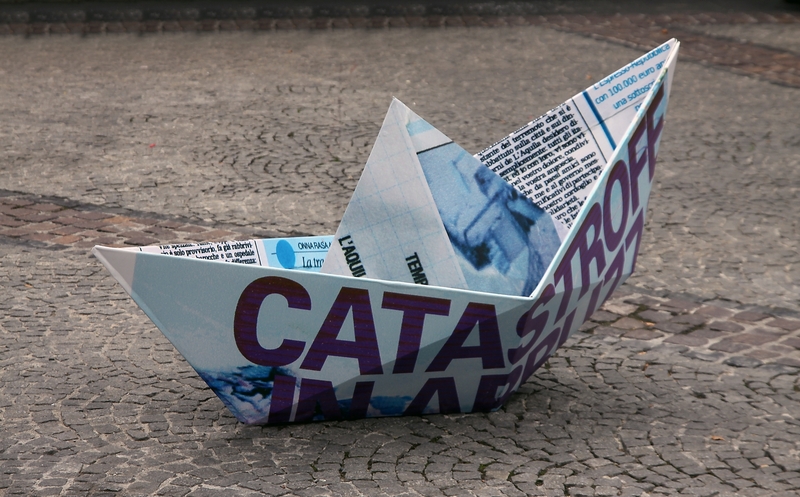 I took the frontpage of the local newspaper, and I made a boat with that page. Then i copied the boat, enlarging it uo to 2 meters long.